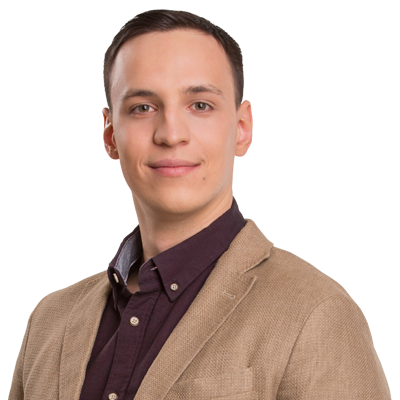 Eugeny joined the company in June of 2016 and the scope of his work focuses on processing of clients’ database as well as prepping of documents for submission to UPTO, keeping track of maintaining the annuities in force and other deadlines. Eugeny has developed a keen interest in the sphere of intellectual property protection, patents and copyright in particular. Gathering information about patents from the specialist in this area, he has acquired practical knowledge for further qualified work with the team of professionals. In his free time Eugeny is fond of music, programming and sports.